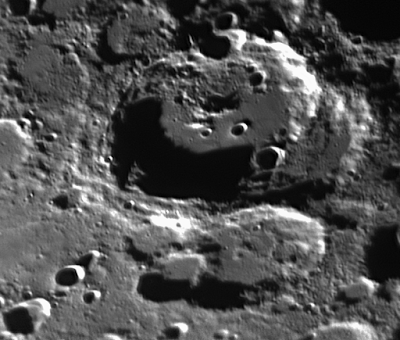 A Solarmax ll, 60, BF15 was mounted on an equatorial mount and a DMK 21AU04.AS camera with a 2.5 x Barlow was fitted. 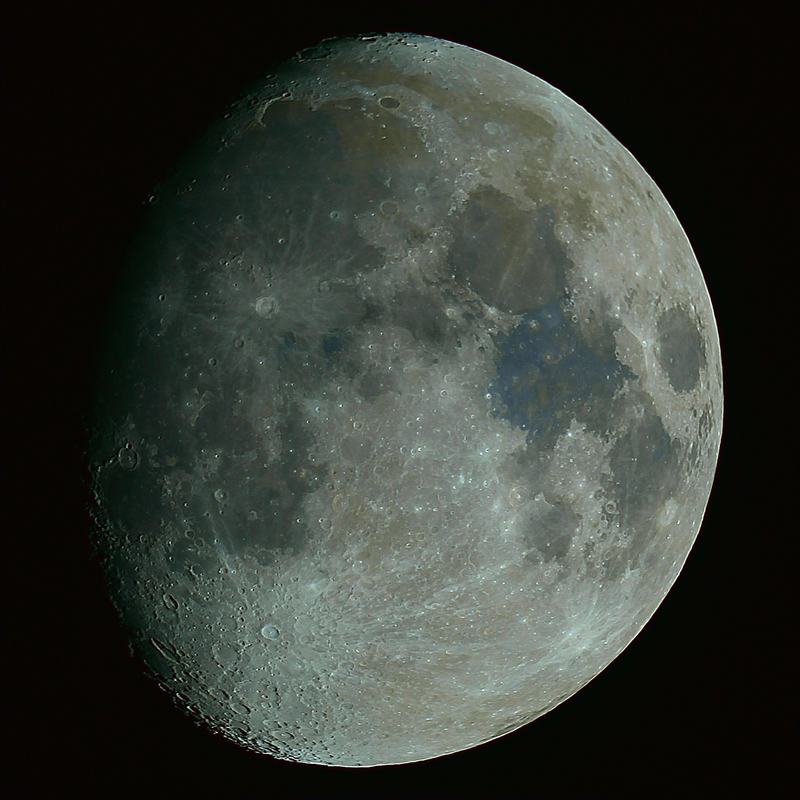 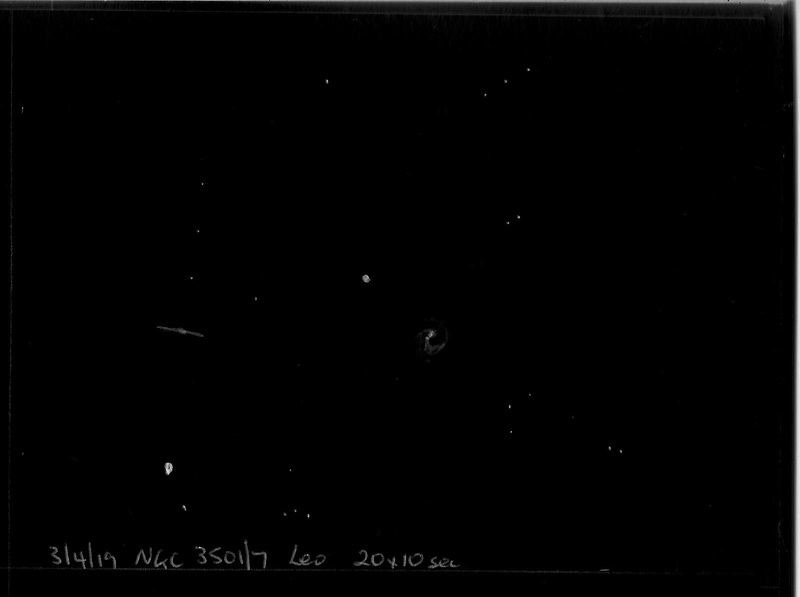 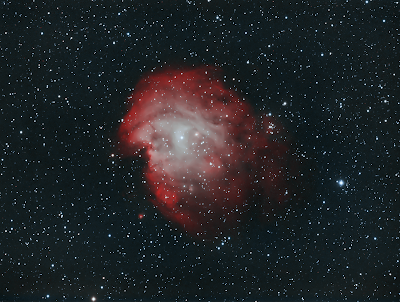 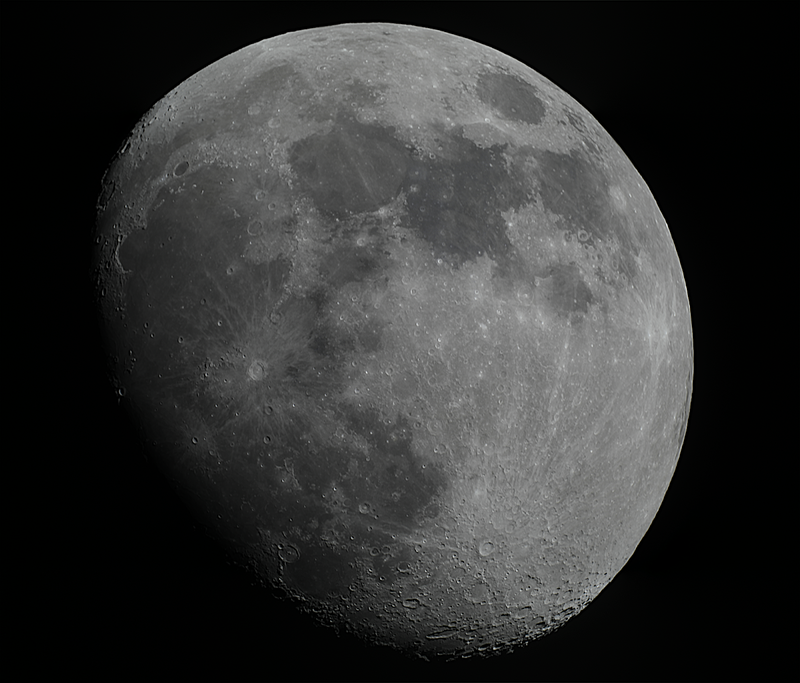 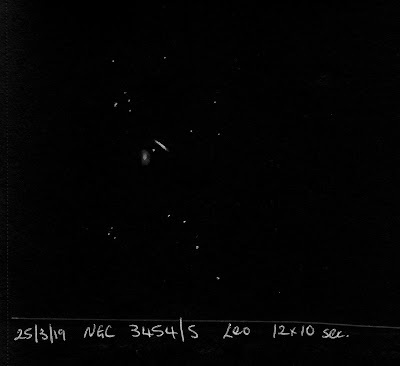 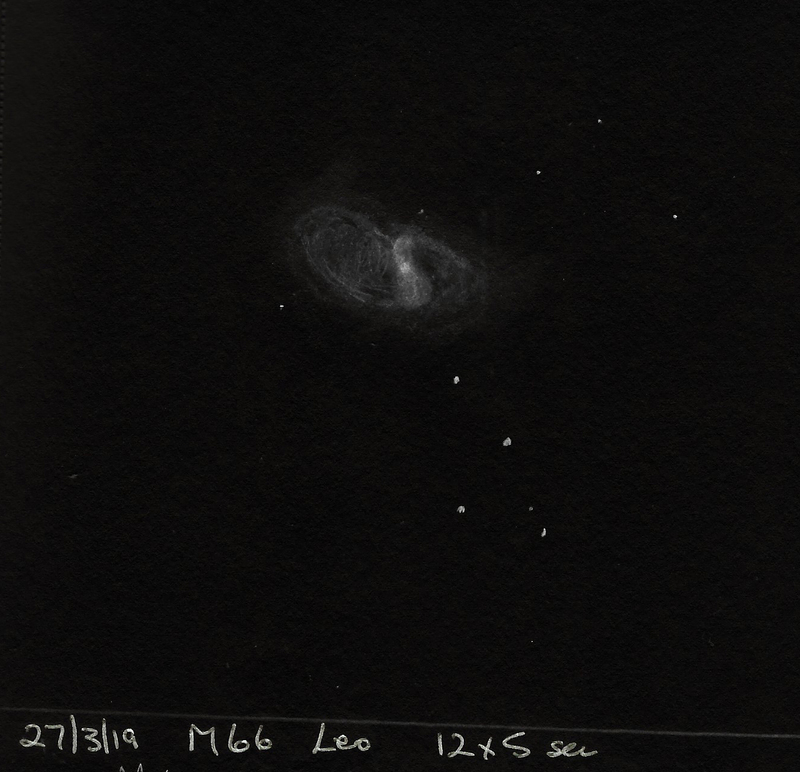 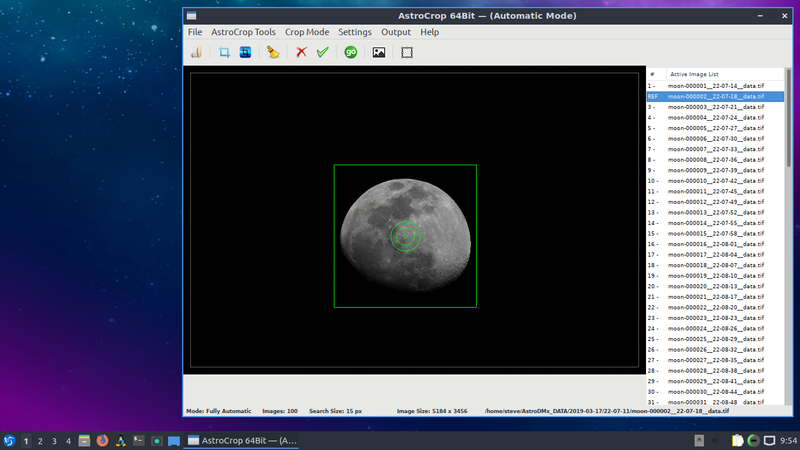 A 15000-Frame SER file was captured with Nicola's AstroDMx capture for Linux. The best 50% of the 15000-Frames were stacked in Autostakkert! 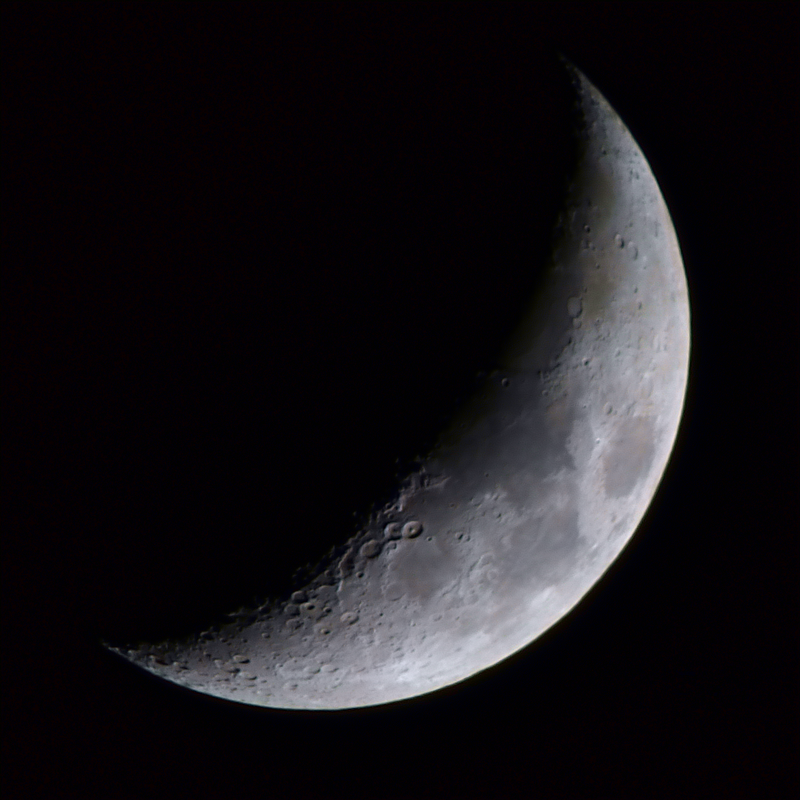 with drizzle and wavelet processed in Registax 5.1. The final image was post processed in the Gimp 2.10. 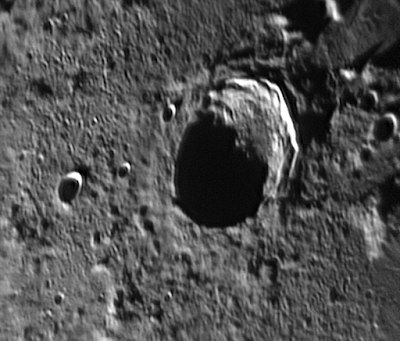 A Panasonic Lumix DMC-FZ72 60x optical zoom Bridge (equivalent to F=1200mm in 35mm) camera was placed on a fixed tripod. ISO was set to 200 and exposure to 1/320s. 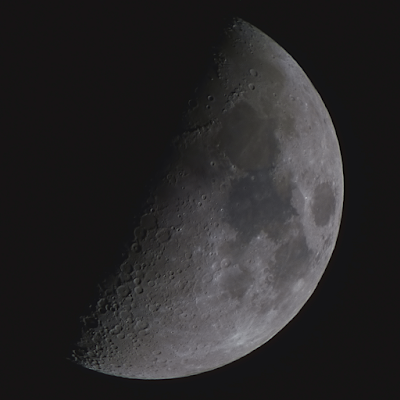 82 images of the Half Moon were capture in rapid succession and then precisely cropped in Nicola Mackin's AstroCrop. The best 90% of the cropped images were stacked in Autostakkert!, wavelet processed in Registax 5.1 running in Wine under MacOS and post processed in the Gimp 2.10. Tonight, speaker Dr Nik Whitehead returned to tell us about "The Physics of the Impossible"
Nik told us about how the definition of impossible varies with time - for example, heavier-than-air flight was once thought impossible. 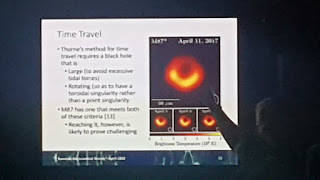 Type 1 impossible are things that we're close to achieving or are already here in some form for example, invisibility, rayguns, sublight space travel, robots, force fields. 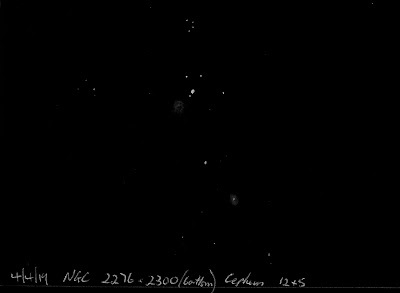 These should be cracked some time in the next 100-200 years. Type 2 impossible are engineering problems for the next thousand years or so: FTL travel, time travel,parallel universes. 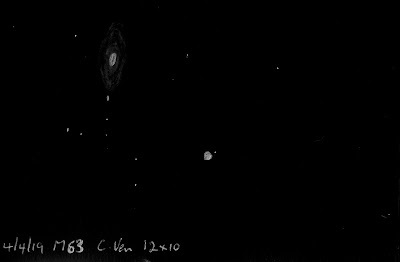 Type 3 impossible...violates known laws of physics. 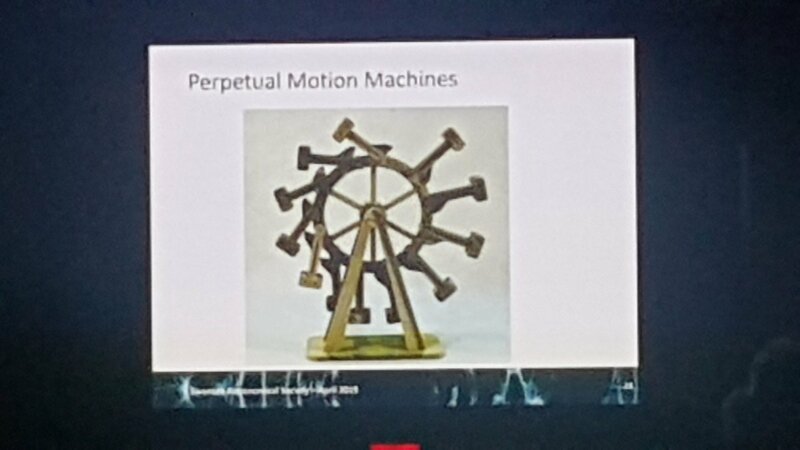 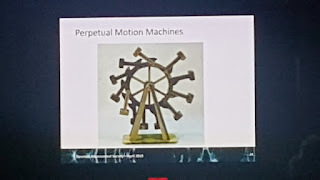 ie perpetual motion. 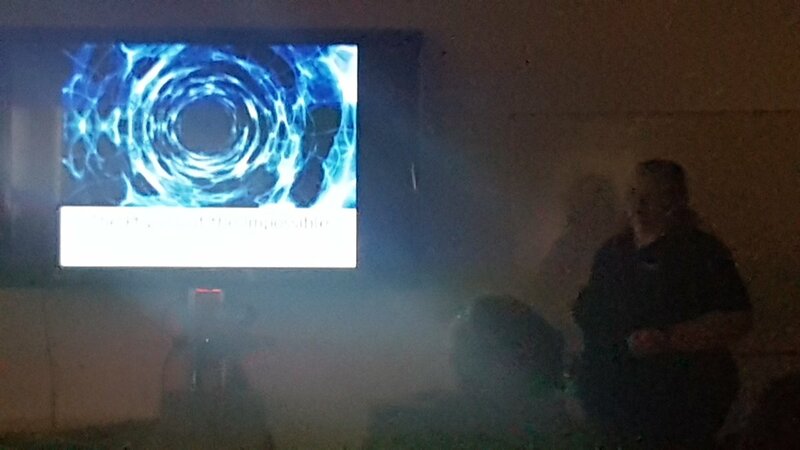 Thank you Nik - lots of food for thought and a very engaging talk. 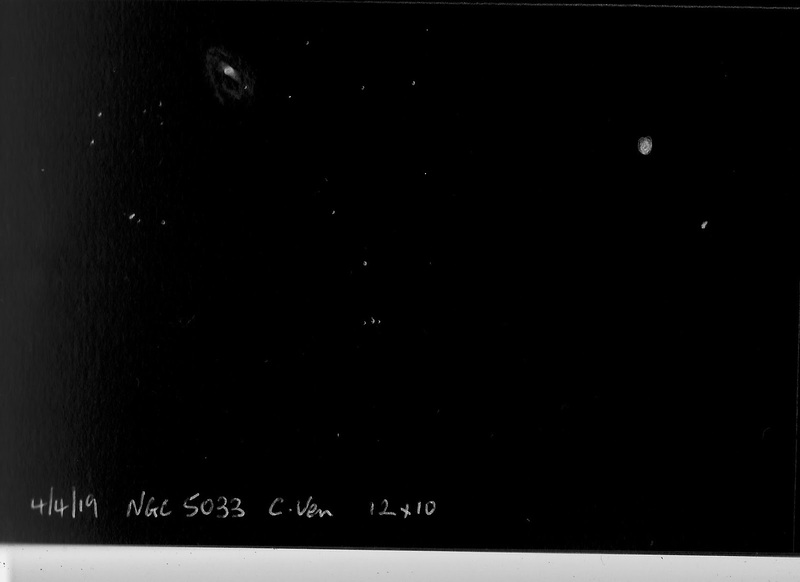 Nik also had some very up to date slides! 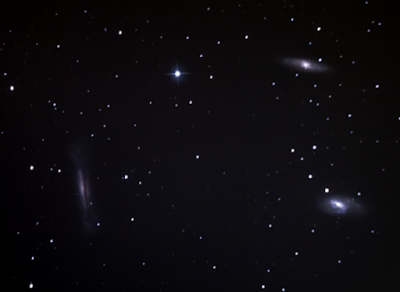 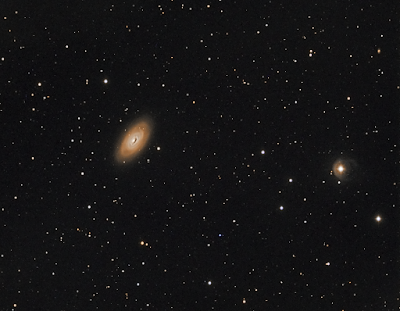 10x300s luminance and 5x300s RGB, around 2 1/2 hours of imaging. Atik 428 and Altair Starwave 70EDT. 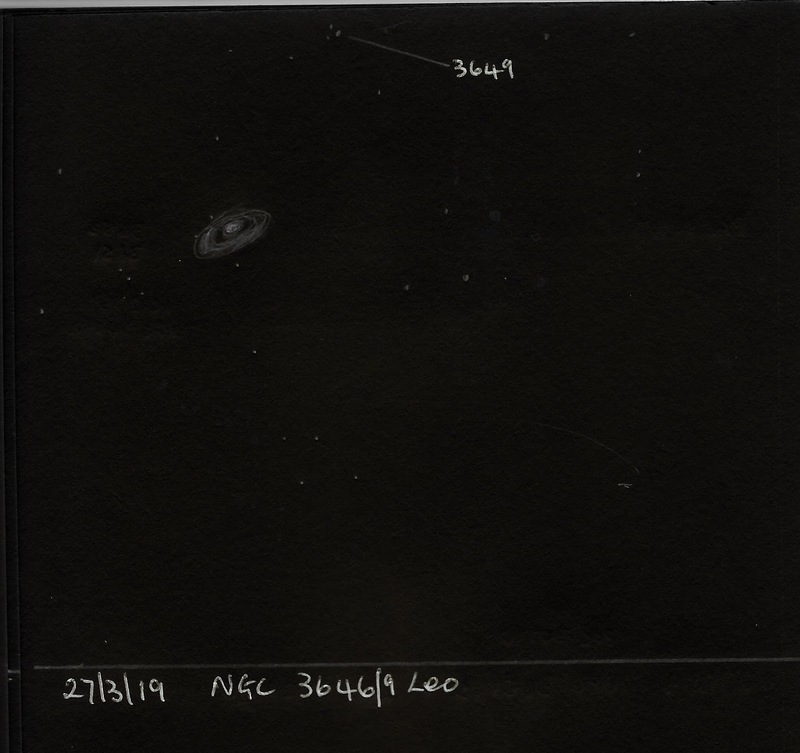 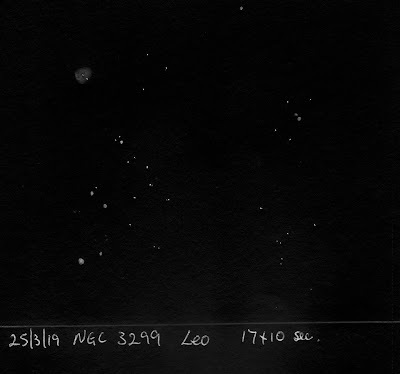 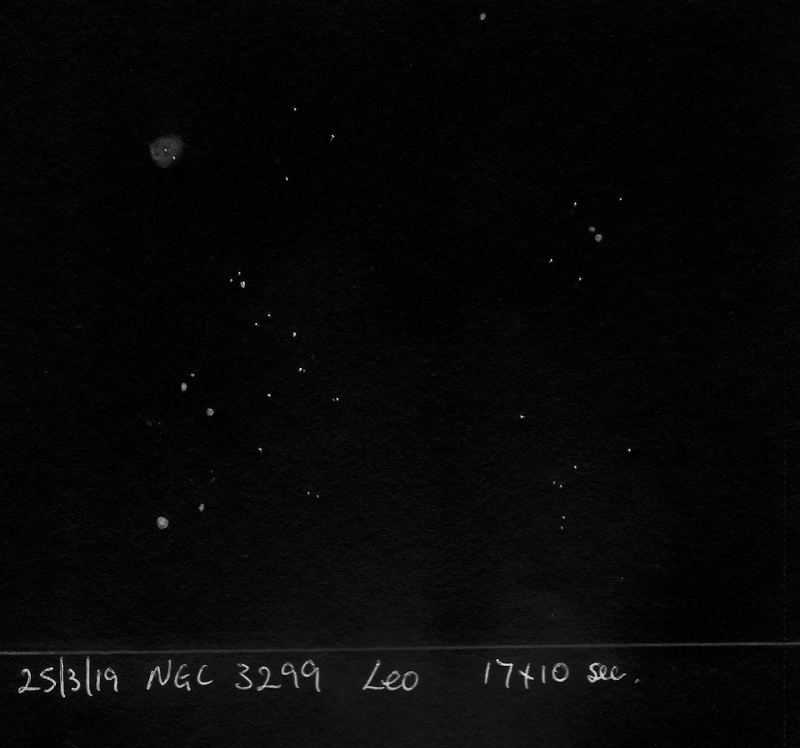 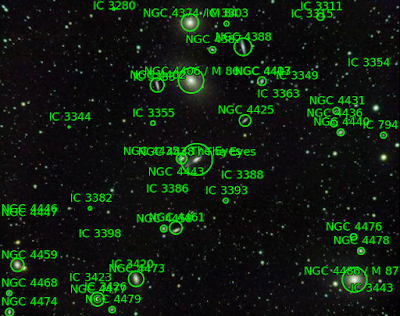 The same image with objects labelled by Astrometry Net. 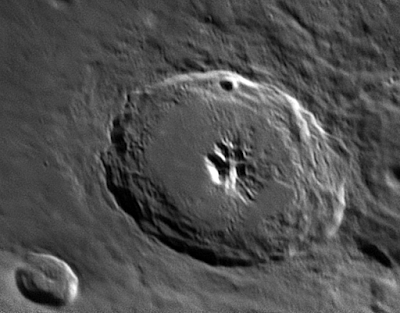 A Panasonic Lumix DMC-FZ72 60x optical zoom Bridge (equivalent to F=1200mm in 35mm) camera was fitted with a Baader solar filter and placed on a fixed tripod. 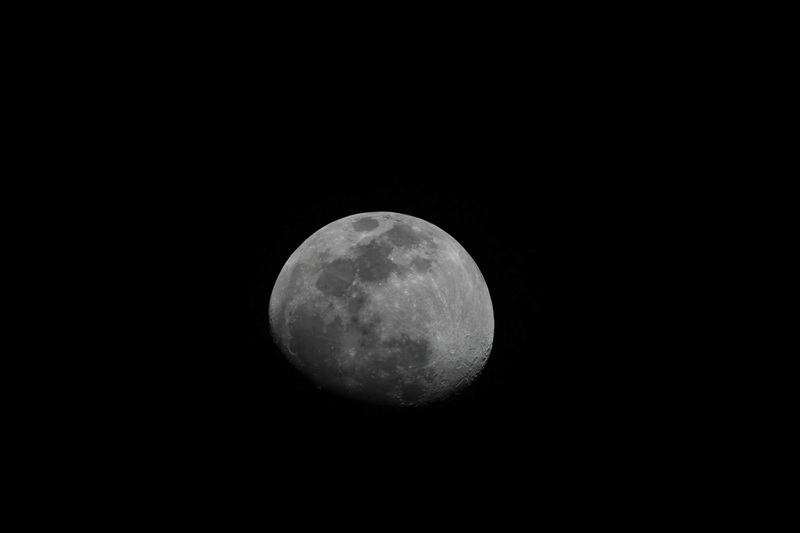 ISO was set to 100 and exposure to 1/1000s. 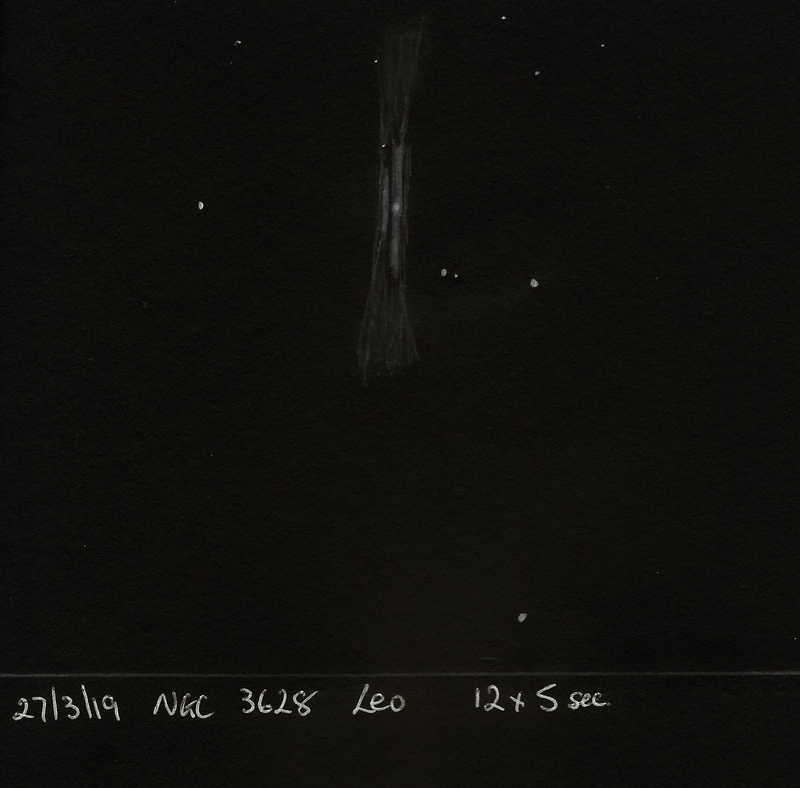 102 images were capture in rapid succession and then precisely cropped in Nicola Mackin's AstroCrop. 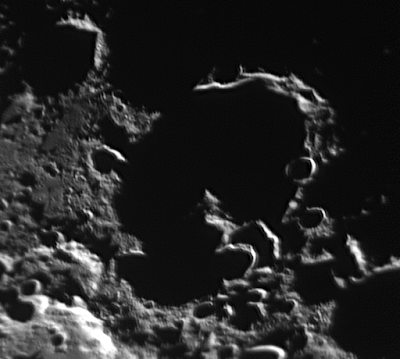 The best 92 cropped images were stacked in Autostakkert!, wavelet processed in Registax 5.1 and post processed in the Gimp 2.10. A DMK 21AU04.AS camera was fitted with the lens from a x2 Barlow and attached to a Solarmax ll, 60, BF 15, H-alpha scope. 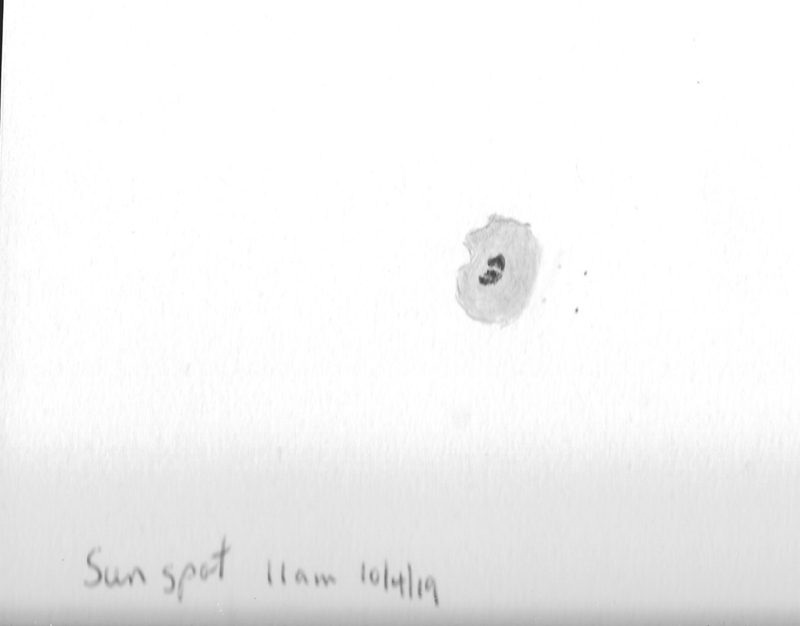 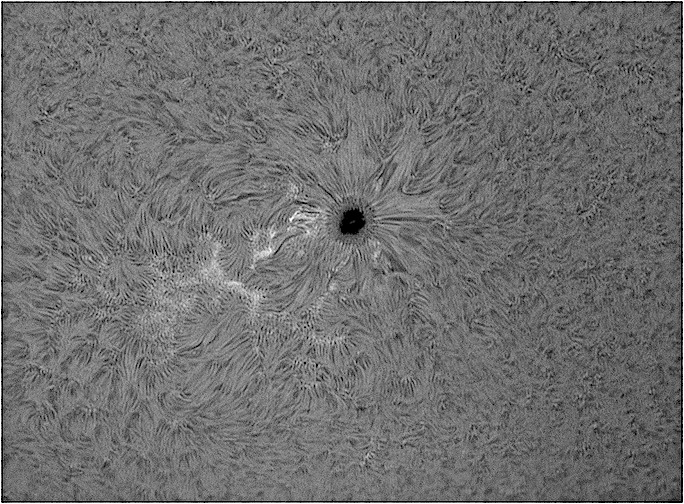 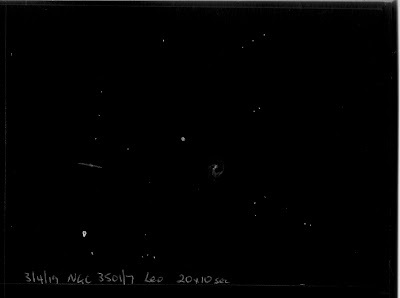 Two 2500-frame SER files were captured of the AR2738 region of the Sun. 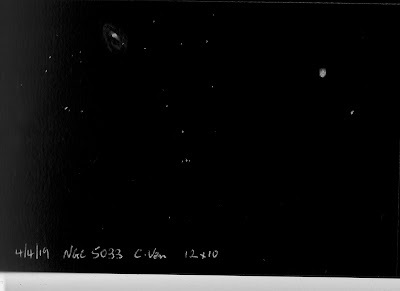 One SER file was exposed for the disk and the other for the prominences, using Nicola Mackin's AstroDMx Capture for Linux. 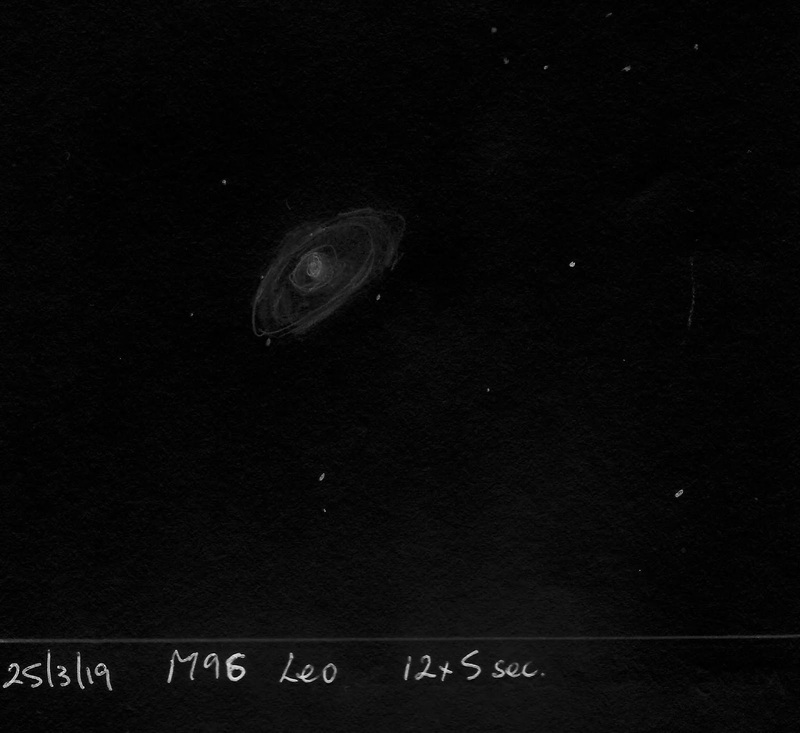 The best 90% of frames from each SER file were stacked in Autostakkert!, wavelet processed in Registax 5.1, post processed and merged in the Gimp 2.10. 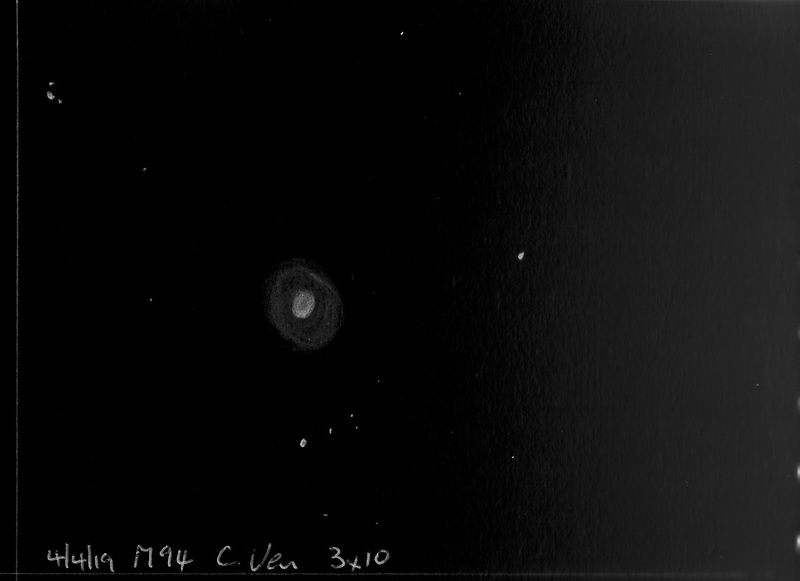 Image of the whole disk using a QHY5Lll-M camera. 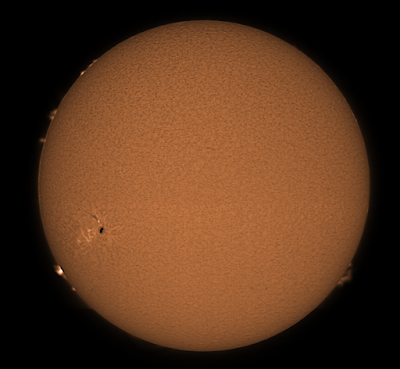 Images exposed for the disk and the prominences, merged and colourised in The Gimp 2.10. A Panasonic Lumix DMC-FZ72 60x optical zoom Bridge (equivalent to F=1200mm in 35mm) camera was placed on a fixed tripod. 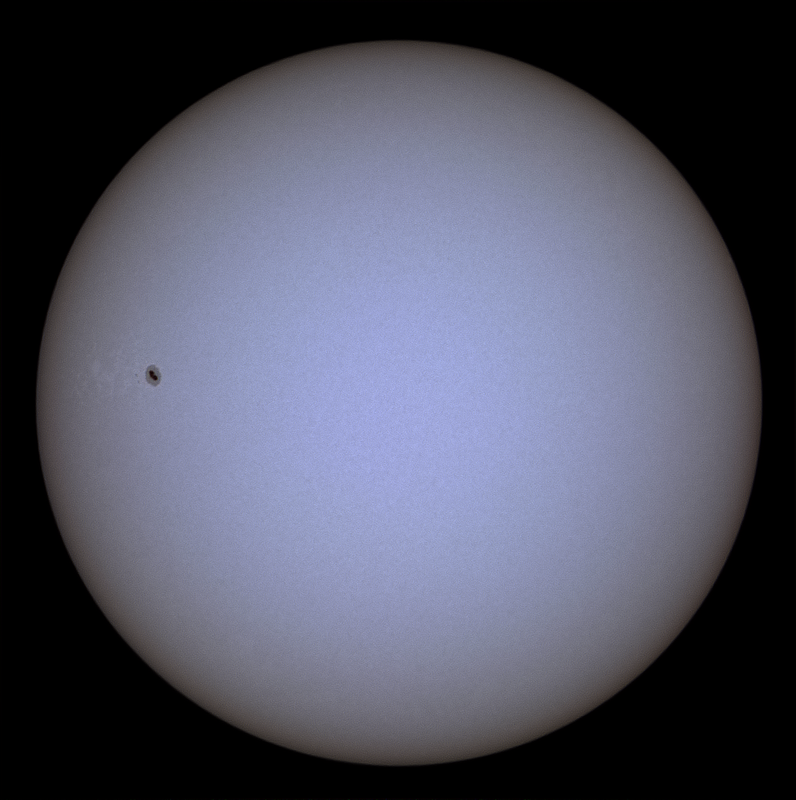 ISO was set to 400 and exposure to 1/600s. 69 images of the 29% waxing Moon were capture in rapid succession and then precisely cropped in Nicola Mackin's AstroCrop. 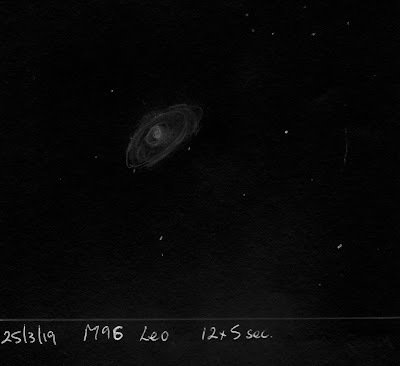 The best 62 cropped images were stacked in Autostakkert!, wavelet processed in Registax 5.1 and post processed in the Gimp 2.10. 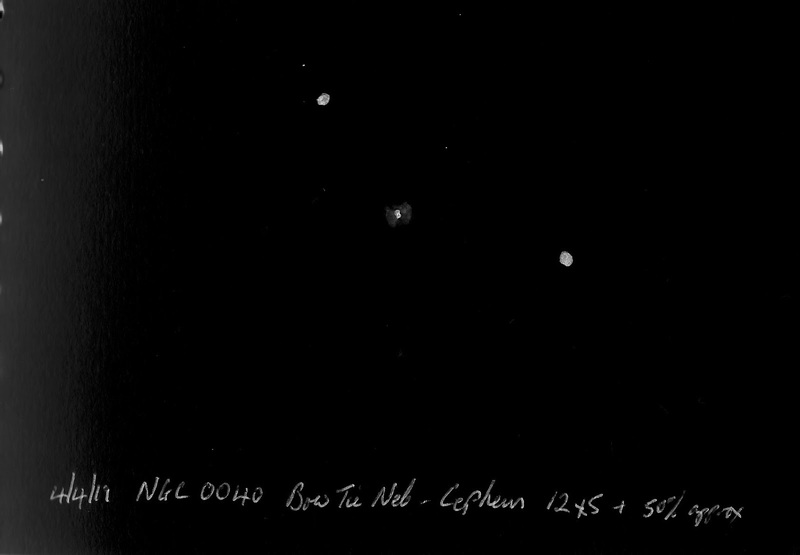 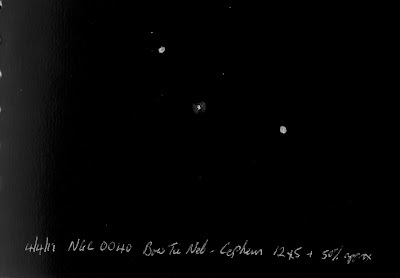 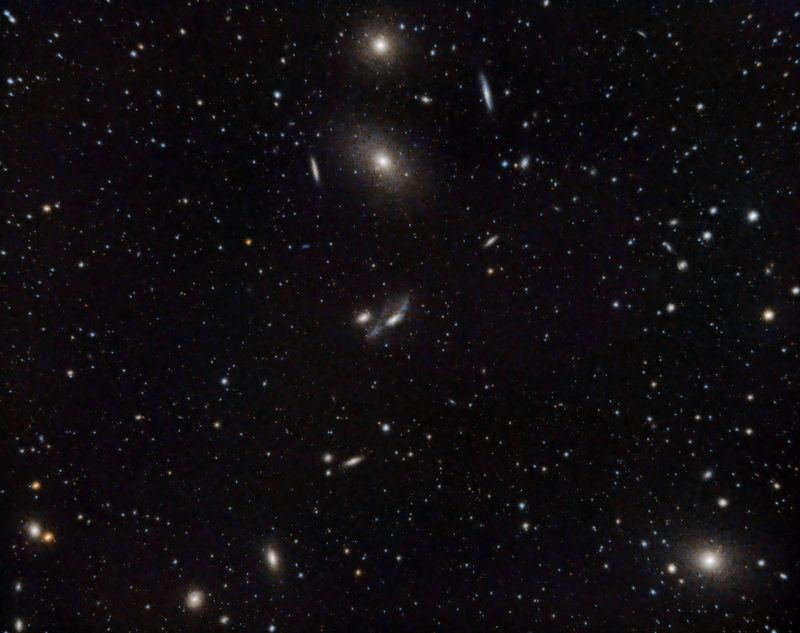 Part of Markarian's Chain centred on the Eyes galaxies (NGC4435 and NGC4438). 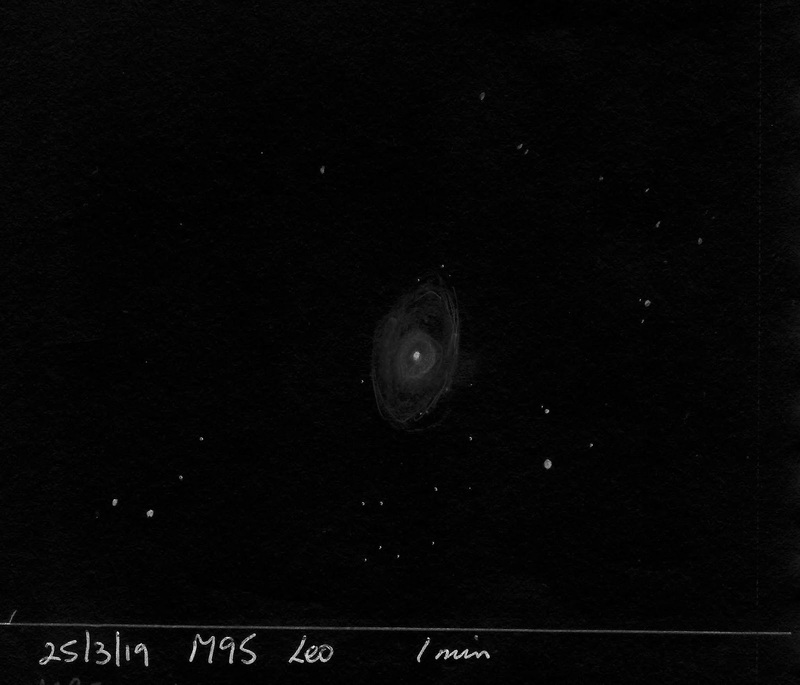 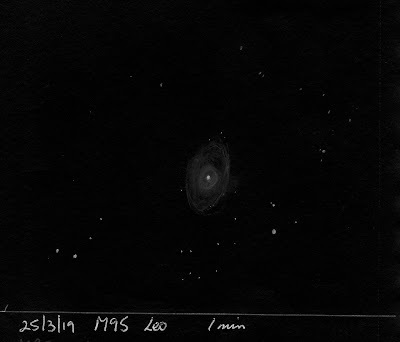 M84 is the galaxy at the top of the image with M86 the larger one underneath. 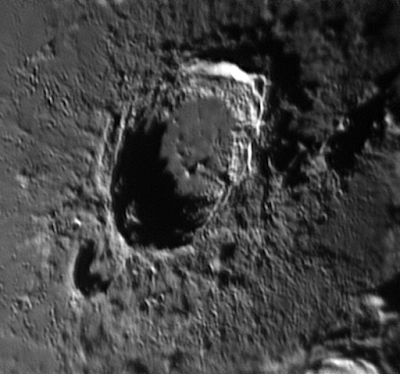 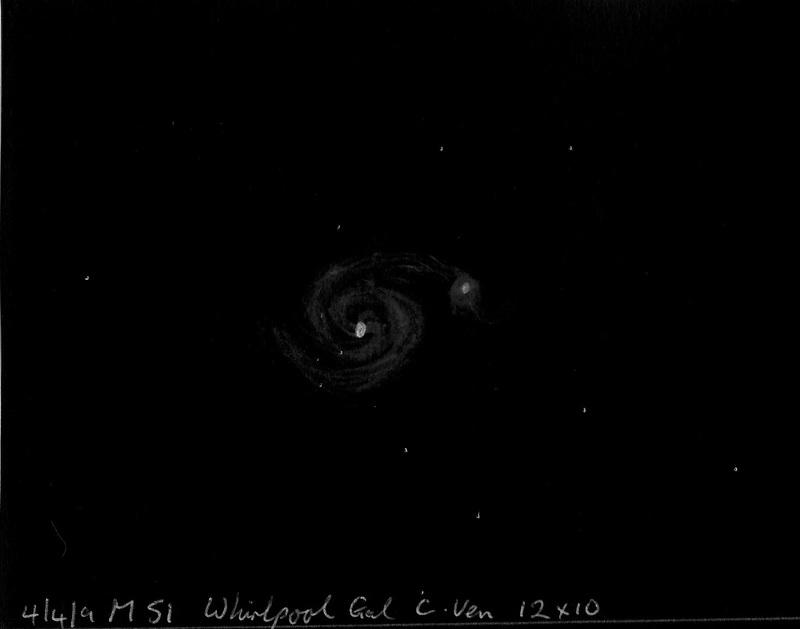 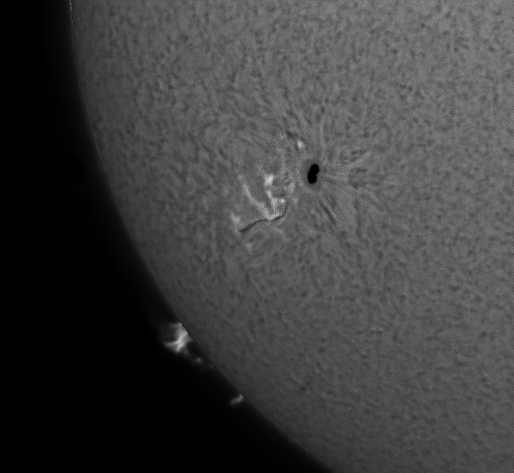 I used my SX694 with Altair 60EDF doublet to take the image. 9x300s luminance, 6x300s red and 5x300s blue and green. 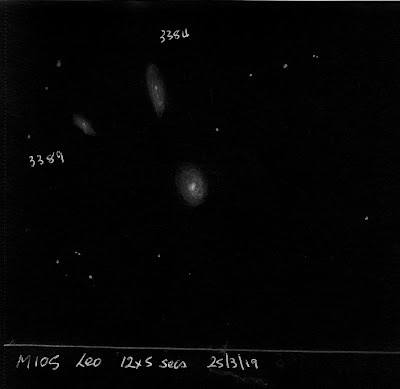 The image contains a large number of galaxies as shown when the image was uploaded to Astrometry Net for labelling. 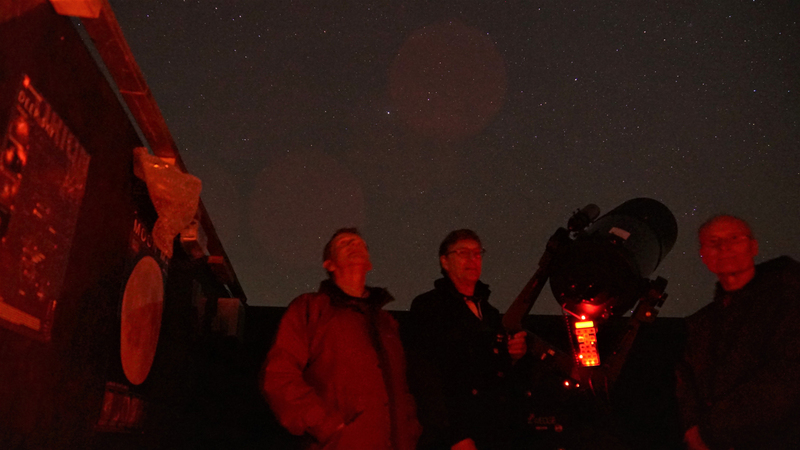 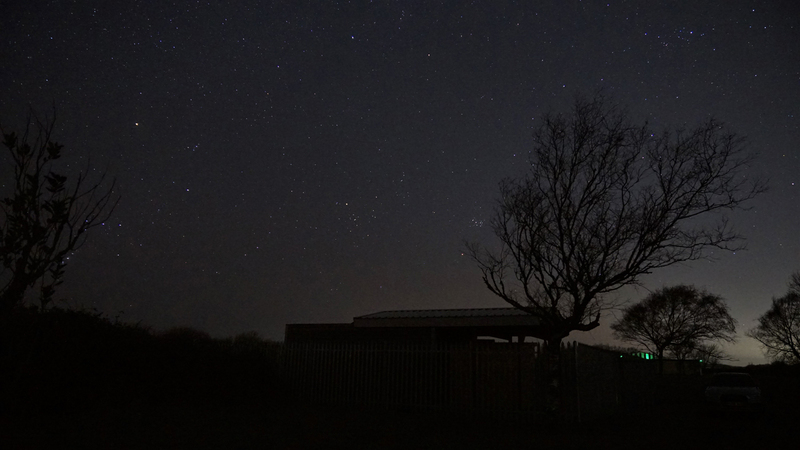 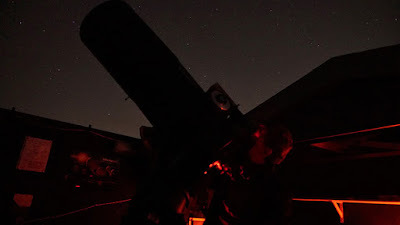 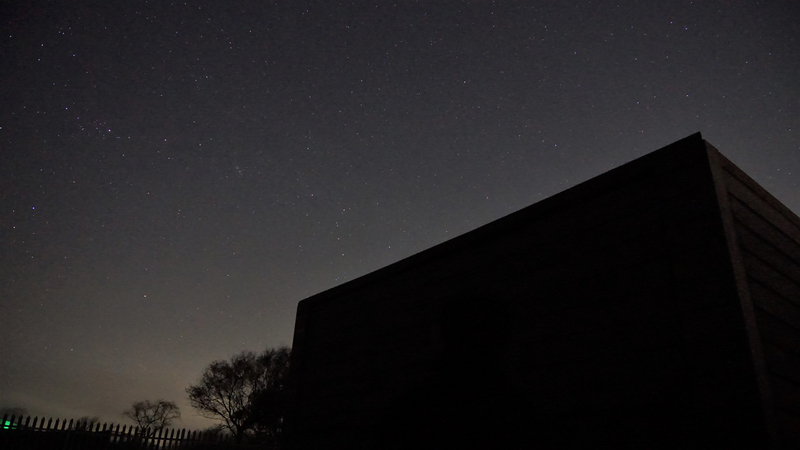 There was a well-attended observing session at the observatory last night after the society lecture. 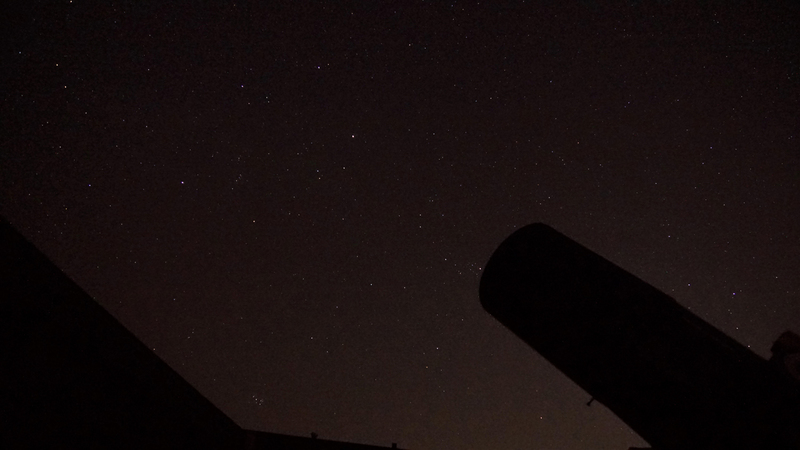 Altair Starwave 70EDT, EQ6 mount and Atik 428 camera. 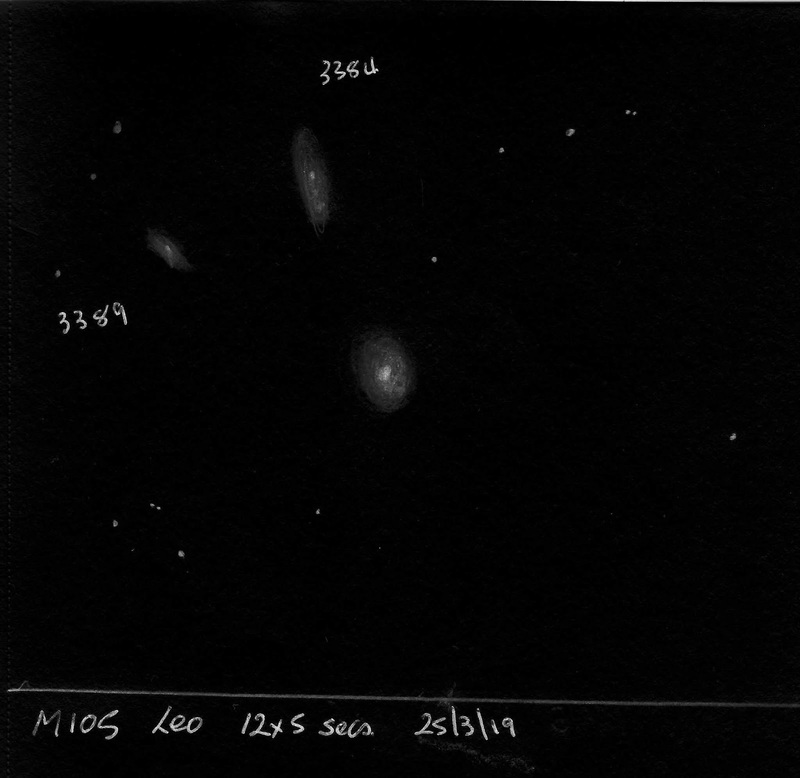 6x900s with Ha and O3 filters. 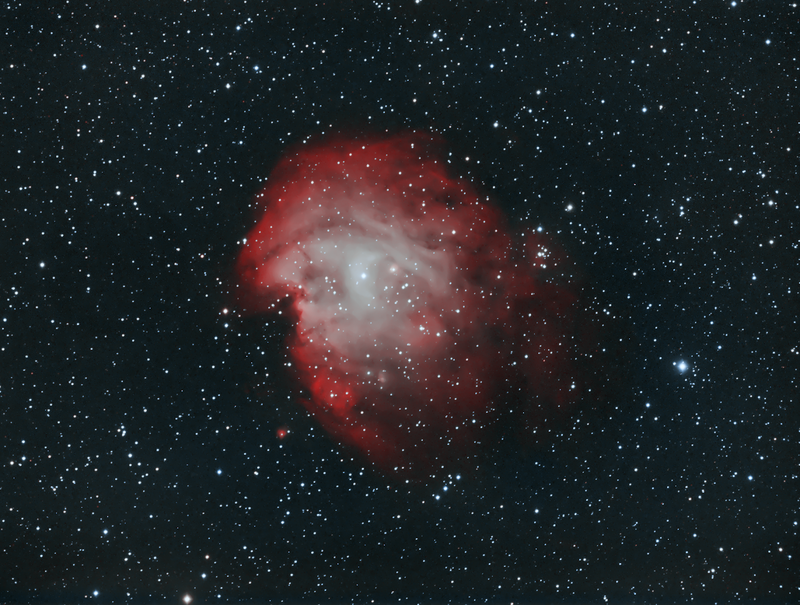 Stacked in Maxim dl and processed in Pixinsight. 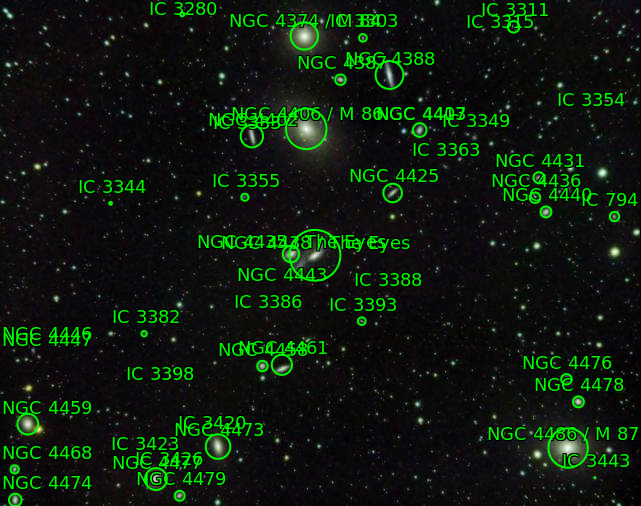 Ha mapped to red and O3 to green and blue. 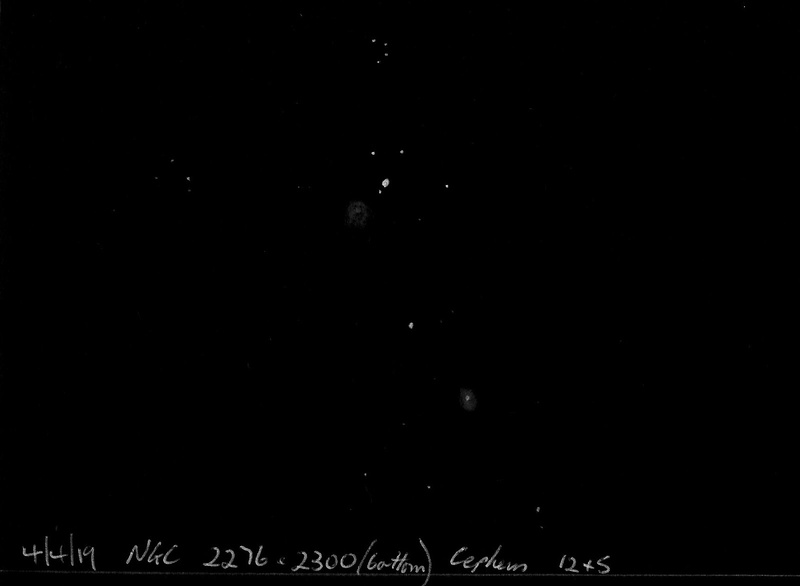 A Canon 4000D DSLR fitted with a 2" adapter and a light-pollution filter was placed at the Newtonian focus of a Skywatcher, f/5, 130mm Newtonian on a Celestron AVX EQ mount. 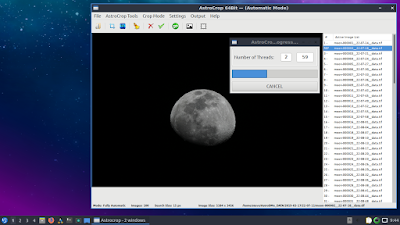 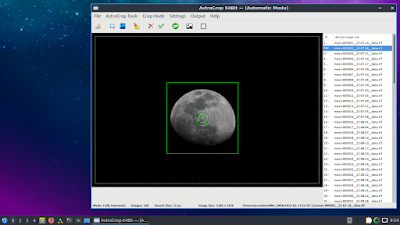 The camera was USB tethered to a Lubuntu Linux laptop running AstroDMx Capture for Linux. 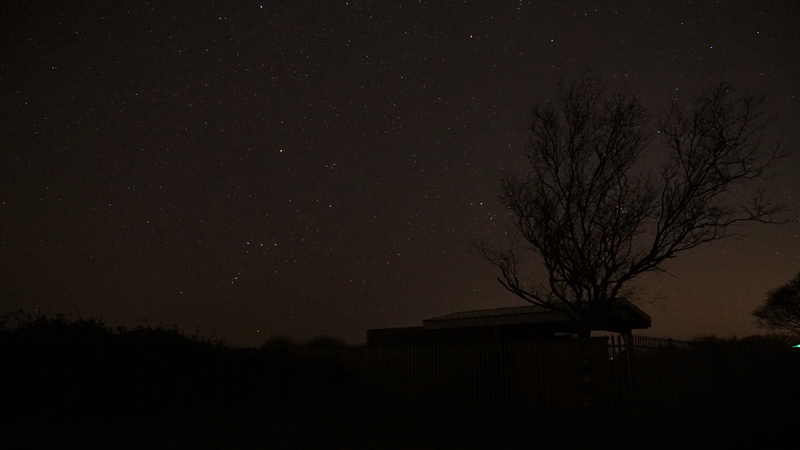 The Camera was set to ISO 6400 and 32 x 120s exposures were captured as 16 bit tiffs with matching dark frames. 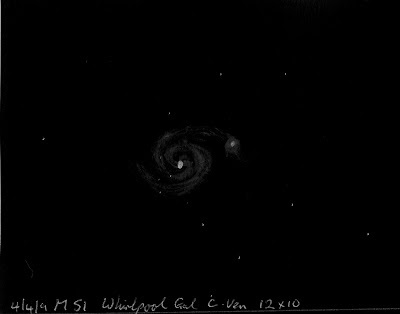 The best 25 images were stacked in Deep Sky Stacker running in Wine and the final image was post processed in the Gimp 2.1, Fitswork running in Wine and Neat Image. 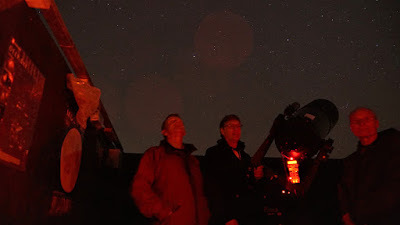 Last night Chris Bowden and Howard Davies held an observing session at the SAS observatory where they tested the generator, lights, and the refurbished scope powered by the generator. 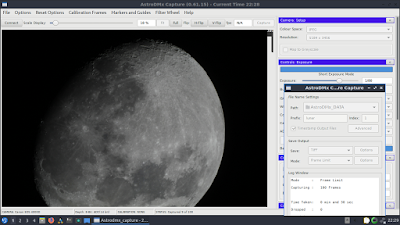 Chris put his Sony A77 MkII, MILC camera at the Cassegrain focus of the scope and placed Sirius at the centre of the preview screen, where it stayed for about an hour. 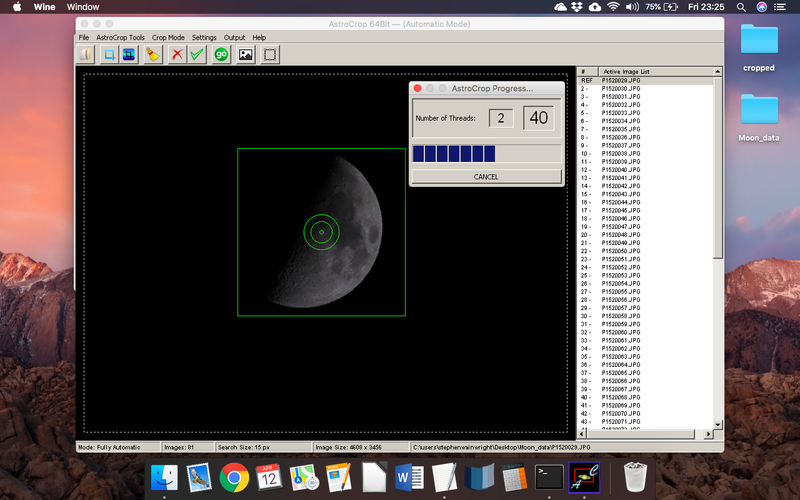 This bodes well for future attempts at imaging with the scope. Proper drift-alignment will determine whether further adjustment of the polar alignment is required in order to do long exposures. 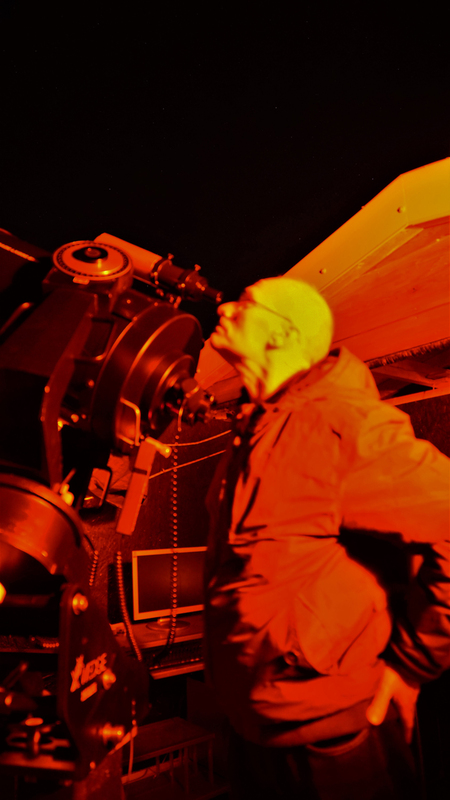 Howard brought his occulting eyepiece to the session so that the light from Sirius could be blocked off, making it possible to view the much fainter Sirius B.